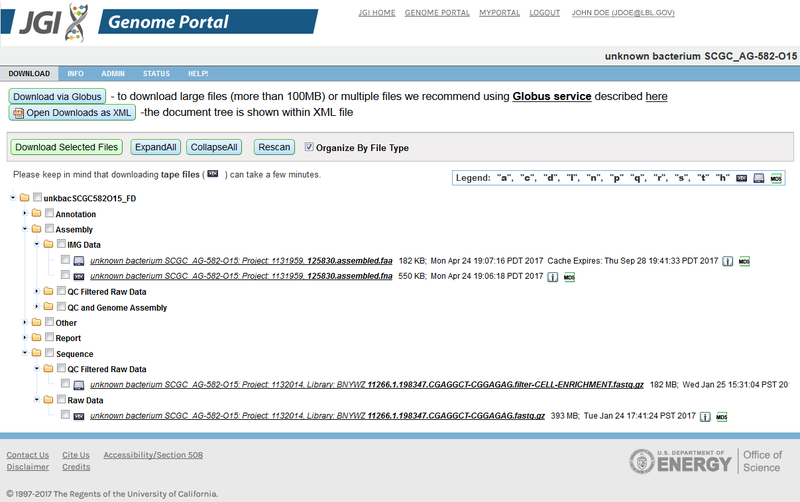 In version 8.0 of the JGI Genome Portal team have developed new features for search and made improvements for the website. This development will enable greater flexibility and support with respect to the JGI Genome Portal infrastructure. If you are new to the portal, you might also want to check out our "Help" section here. You can use this option on the download page of Projects, Proposals and Groups. Figure 2. Search results with a query hit highlighted. Check the box "Show Highlights". The hit is highlighted with a yellow color. This feature allows you to see why do you have in results this record as a hit. 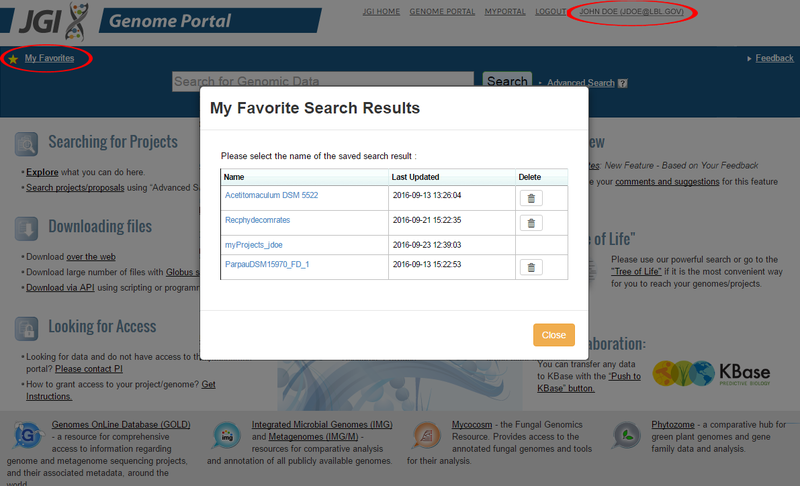 The JGI Genome Portal Group is introducing a new way to track your projects. To start using this new feature please 1. login, 2. execute search, 3. save results. The access to the feature available at the left corner of the search panel. To review private projects that you have access to within "My Private Projects" of "My favorites". To save filtered search results to "My Favorites"
To select certain projects (Cherry picking) from search and save them for future tracking/review. Find more about "My favorites" here. KBase is a platform enabling systems biology research and comparative functional genomics of microbes and plants while promoting the sharing of results and methods with other scientists. Microbial genome reads and assemblies can be transferred directly from the JGI Genome Portal to KBase for assembly, annotation, metabolic modeling, and more using the Push to KBase feature. Any data you transfer to KBase is private unless you choose to share it.